You might know Chef Camille Becerra from her highly-Instagrammed Dragon Bowl at Cafe Henrie, or maybe from her days as a contestant on Top Chef Season 3. But, like a true artisan, this chef is about creating and serving inspiring food, whether the cameras are on or off. During her almost two decades in the culinary space, she has seen both the spotlight and her worst nightmare play out. In 2008, as the world watched Barack Obama win the presidency, Camille’s Brooklyn restaurant, Paloma, caught fire and burned down. She described it as “an emotional and financial disaster.” And although she vowed never to run anything again, here she is today, the co-founder and executive chef of De Maria, a beautiful, all-day cafe in Nolita. At face value, De Maria is already different from other restaurants on the block. Its interior is reminiscent of open air, palazzo-facing cafes in Rome, complete with an inviting, modern finish. Since opening its doors in February, it has been a welcome addition to the neighborhood. “I wanted to give the neighborhood a spacious kind of restaurant that was able to breathe but also make it really affordable,” Camille explained. Consider it mission accomplished. 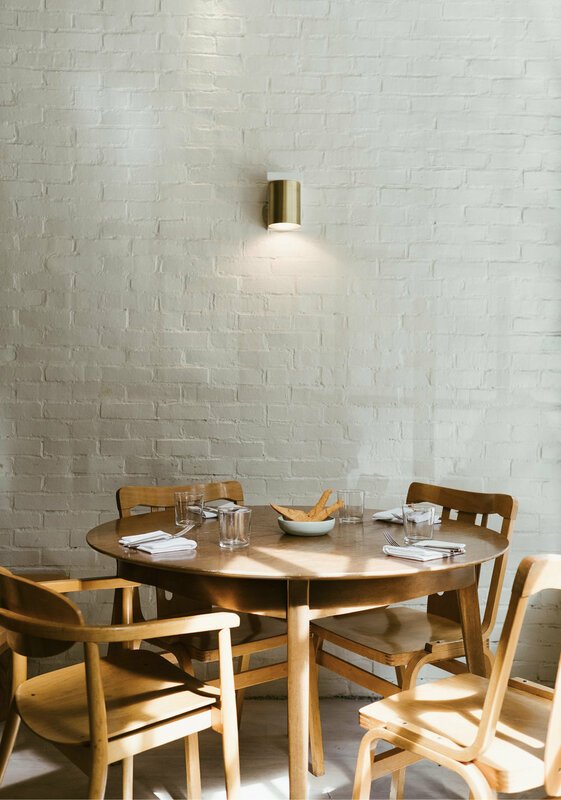 Between the refined interior and the spacious layout, it’s a stark contrast to the cramped dining experience that often comes with living in New York. On the menu, you’ll find her signature Dragon Bowl (a grain-based veggie dish), but also so much more. Breakfast is served all day, offering unique spins on classics like Banana Bread with ginger and coconut, homemade tahini yogurt, and chili-turmeric bone broth. 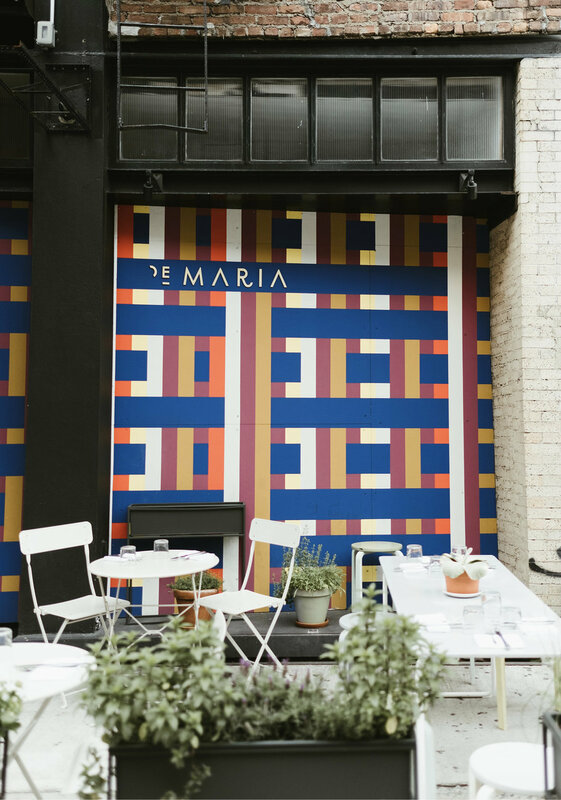 To Camille, lunch is “a different type of hungry,” a philosophy that guides the way they do lunch and dinner at De Maria. “[At lunch,] you may be meeting a friend, a client, or a business partner. You want your plate of food, and you don’t want to share, generally. It’s not that environment. 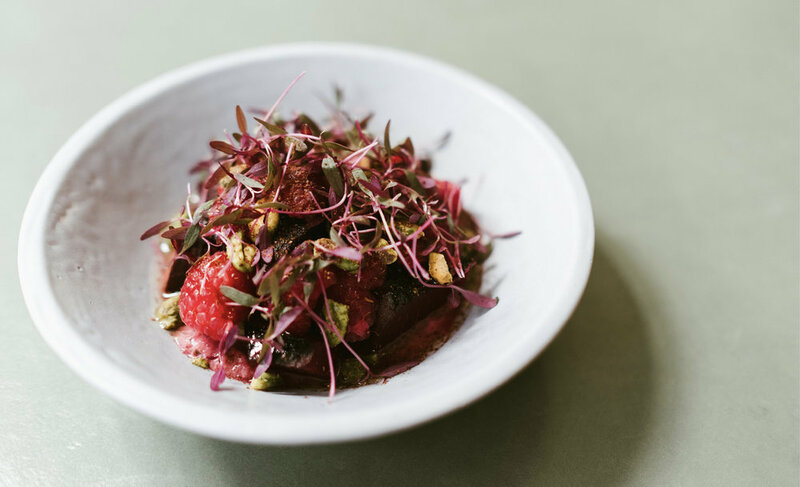 It’s about having your bowl, it’s about being healthy, feeling nourished, not being weighed down.” Dinner, on the other hand, is a communal experience, which is reflected on the menu with small plates. “It’s about sharing. It’s an experience; it’s an activity, it’s almost like entertainment,” she said. Whether you dine at De Maria for breakfast, lunch, or dinner, the menu offers plenty of creative dishes that combine classic ingredients. “Certain dishes, they do stand the test of time,” she said. 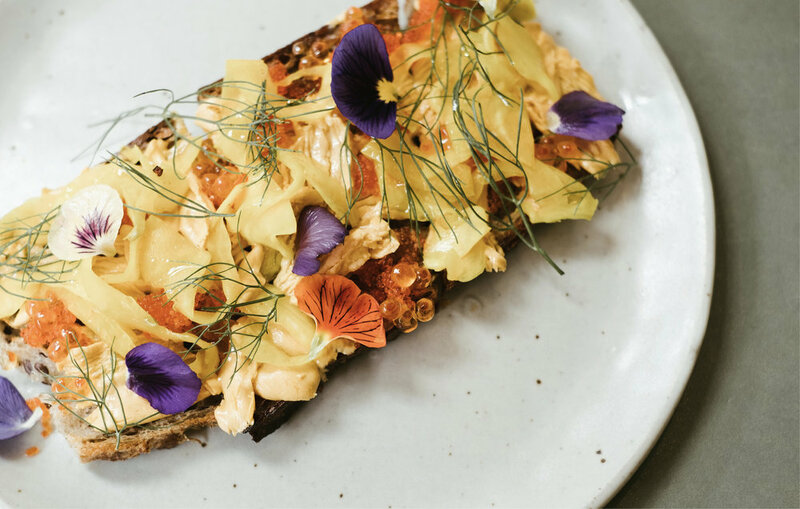 “And I’m very proud of making dishes that aren’t so trend-based.” While De Maria has become a trendy restaurant, Camille has woven timeless components into both her menu and the restaurant itself, which will ensure that De Maria becomes a staple of New York City’s dining scene.